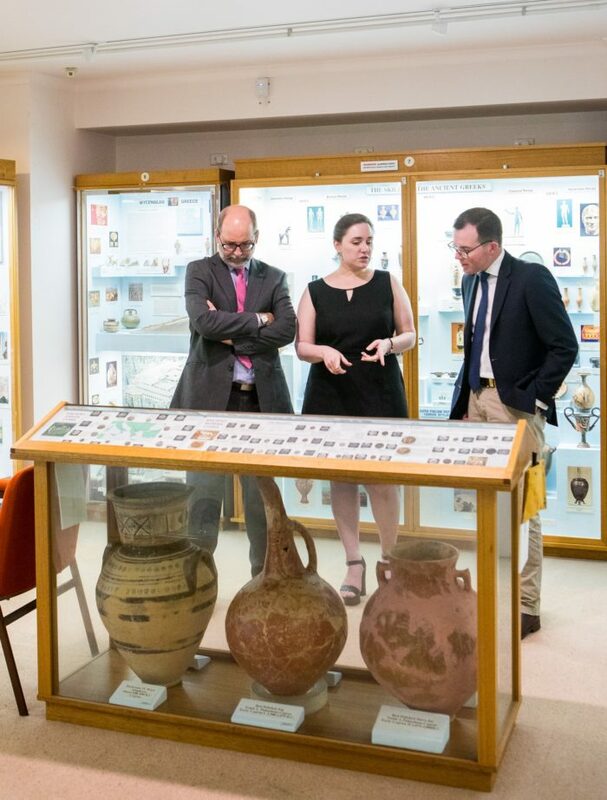 MEMBER for Northern Tablelands Adam Marshall today announced a $10,700 State Government grant for the University of New England to successfully host the upcoming 40th Annual Conference of the Australasian Society for Classical Studies (ASCS) in Armidale. In a huge coup for the region, next month will be the first time the conference has been held outside a major city for close to two decades. “This funding is a great opportunity to get an important event away from the city and into the region and I congratulate the fantastic work of Dr Bronwyn Hopwood and all the conference organisers at UNE,” Mr Marshall said. “This conference will help promote Armidale to a variety of different visitors as well as showcase the study of languages, literature, history, thought and archaeology that occurs in Armidale. “Events like these bring money into the area with visitors staying multiple nights and spending money in town it’s a great boost to the local economy. The funding was provided through the NSW Government’s Regional Business Events Fund, which aims to help attract and support the successful hosting conferences and business events in rural and regional NSW. “So far, more than $1 million has been provided from this fund to help attract more than 60 events and conference to large and small country towns,” Mr Marshall said. The 40th Annual Conference of the Australasian Society for Classical Studies will be held at UNE from Monday, 4 February, to Thursday, 7 February. More than 200 delegates from around Australia and the world are expected to attend.